Upon arrival, cut 1" off the bottom of the stems and place in cold water. You can add a little flower preservative, or a dash of Sprite for longer vase life. Remove all foliage below the water line and place stems in cooler. 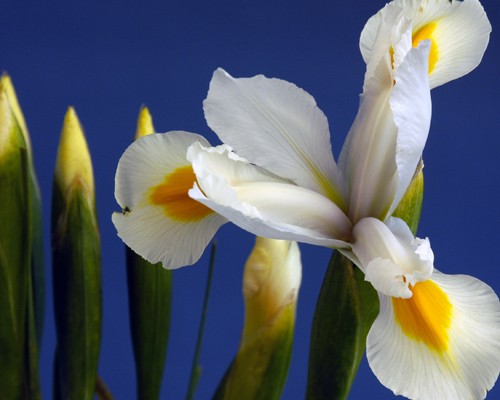 At normal room temperatures, Iris usually takes 2 days to fully open up.